NEBOSH are a world leading examination body in Health Safety and Environmental Management. Their qualifications are viewed as a benchmark standard by many international large corporations and governments. The examinations are delivered to exacting standards in every country, which safeguards the students and the qualification. Understanding the needs of the international community and current affairs is paramount. This is why NEBOSH regularly review and update their qualification syllabi, ensuring the most relevant content is examined by the students. There are three primary levels of NEBOSH courses certification, Award (entry level), Certificate and Diploma. As your safety requirements change you can move through each level, gaining the necessary skills to operate safely within any business; using international best practice. With hundreds of NEBOSH examination centres across the globe, you’re never far from success! Vocational training courses from ProQual are available Internationally and meet the same criteria as City & Guilds NVQs. The SHEilds suite of IOSH certificate courses are designed for team leaders, supervisors and managers; or indeed for anyone regardless of job role or industrial sector. When working within any International business sector, employee awareness of the importance of safety management systems and personal well-being in an effort to work safely is paramount. The obvious cost savings and financial benefits to businesses have not only been proven to save money but, most importantly SAVE LIVES! NEBOSH are a globally recognised awarding body and are renowned for their implementation and methods of best international-practices for managing occupational health & safety. National qualifications from NEBOSH have a focus on UK legislation and regulations in comparison to International variants of the same qualification. NEBOSH are known for being one of the leading health and safety bodies in the world and commonly believed to be the foremost examining body in occupational health and safety qualifications. Certification for NEBOSH comes in three levels, Award, Certificate and Diploma. As your safety needs evolve and career goals change, you can move through each level, improving your knowledge and skills as you progress. The NEBOSH suite of qualifications provides a breadth of training to ensure you can obtain the skills required to work and operate safely within any business environment and most importantly, within the remits of the law. Examinations are available throughout the UK and hundreds of locations globally, giving you both choice and flexibility. Vocational training courses from ProQual are available Internationally and meet the same criteria as City & Guilds NVQs. Vocational work-place based health and safety training courses without examinations. IOSH training courses are aimed at line managers, supervisors and those in charge of a team. IOSH courses are suitable for anyone in any job position within any business sector. It’s important for employees to be aware of safety management systems within their workplace. Encouraging cultural safety and personal well-being are a key aim of IOSH training. Our IOSH training courses provide employees with an insight into both, obvious and the less obvious benefits of an improved safety culture – Which, Saves Money and Saves Lives. We Support You, From Start to Finish! Health & Safety Training provider of NEBOSH, IOSH & City and Guilds courses based in Hull, United Kingdom. South Africa Health & Safety Training provider of NEBOSH & IOSH courses based in Johannesburg, South Africa. SHEilds’ contact for Middle East students, NEBOSH & IOSH courses based in Dubai, UAE. Can’t wait? 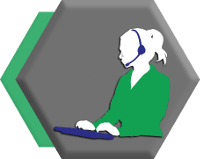 Use our LIVE CHAT to speak to an advisor now. I want to purchase some courses in bulk, do I get a discount? SHEilds offer corporate discounts for bulk purchases, please speak to a SHEilds course advisor to learn more. Courses can be paid in instalments, however, at present this must be done via telephone whilst speaking to one of our course advisors. If you would like to pay monthly, please contact your local SHEilds office. You will receive your results by post, for NEBOSH courses this can take up to 3 months as the process upon exam completion is thorough. It can then take a further 10 days for the results to be printed and posted. You will receive your IOSH exam results immediately however you must then submit a practical test which can take up to 1 week for our tutors to mark. NVQ courses are an ongoing evaluation and can be completed in just a few months, however, this depends on the students time dedication to the course. What would you recommend for a Safety Officer? For a health and safety officer, we would recommend starting with either the International or National certificate in occupational health and safety depending on where you would like to work. This is a qualification that is ideal for anyone looking to enter a career in health and safety. The qualification focuses on various standards and management systems. Is an e-Learning certificate the same as one studied in a classroom? Yes, the certificates being different is a common myth around e-learning, where many students are worried their qualification will not be valued as highly should they have studied in a classroom. The certificate you will receive at the end of the course is the exact same and you cannot tell the method of study. Am I able to view past exams? One of our most commonly asked questions is whether or not our students can view past exams. We have a collection of past exam papers for our courses. These are available as resources when you become a SHEilds student, we recommend revising these often after you have studied your course and use them to test yourself up until the date of your exam. Do SHEilds give exam Tips and Guidance? Of course, SHEilds pride themselves on successful students, for this you will receive a personal tutor who will be available year-round to answer any questions you may have. If you have any worries about structuring any written work or what resources you should use, your tutor will offer guidance in this area. Where are NEBOSH Jobs available and what can I earn? NEBOSH jobs are available globally, in the UK we recommend studying the National courses however outside of the UK the International courses offer work globally (excluding the UK.) The average earnings in the UK for construction and civil engineering can offer salaries of £50,000. Utilities can expect to earn £46,000 with consulting following with £43,000. The lowest average salaries can be found in manufacturing at £38,000 and the public sector at £33,000. For the position of ‘Global Head of Health and Safety’ in the banking and finance sector, a salary of £125,000 was offered. For this, both a NEBOSH Diploma and CMIOSH was required. What would you recommend for Management courses? 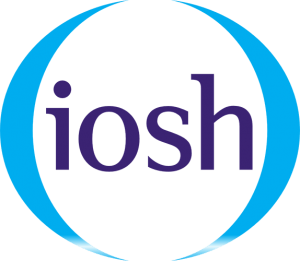 For anyone looking to manage a team of staff, an IOSH Managing Safely course should be considered. This course will get managers up-to-speed on challenges in health and safety that they will face in the workplace. SHEilds make the course flexible so a student can study around a busy schedule in their own time. Whatever your level of experience or area of expertise in the International health and safety industry, we have a variety of programmes to suit your training needs. Our NEBOSH General Certificate and International qualification(s) offer a foundation for anyone who has health and safety responsibilities in the workplace. For managers and supervisors, our IOSH course will equip with you all you need to know about managing safely in the workplace. Our NEBOSH diplomas are admissible as evidence for CPD and are designed for health and safety practitioners who are looking to take their career to the next level. This means NEBOSH Diploma level qualifications meet the requirements for Continued Professional Development contributions and are accepted as evidence towards your membership for such bodies as IOSH, CIOB and IIRSM. We also offer an accredited NEBOSH course for those who work in environmental management. If you want to build upon your skills and knowledge in a specific area, our programmes of study cover a variety of industries, including construction, fire safety, oil and gas and risk management, which can be Internationally delivered. As well as traditional classroom-based training, we specialise primarily in NEBOSH distance learning courses (a.k.a eLearning); and IOSH courses, offering a flexible, cost-efficient method of education that can be tailored to your individual learning requirements. For ultimate flexibility, our City & Guilds (NVQ) vocational qualifications can be completed at your own pace. The recently released City & Guilds Level 5 Diploma is now known as a ‘competency-based vocational qualification’, an update from the old NVQ of the same level. To help you reach your professional goals, our quality learning materials and experienced tutors can offer you support and guidance throughout your qualification. If you are unsure about which kind of health and safety course will benefit you or want to find out about course availability, a member of our team will be happy to talk you through your options and assist you with your health & safety course booking(s). Remember, SHEilds health & safety qualifications are fully supported by our experienced and world-leading team of professionals.